All our Awnings are made to measure. Call us for professional advice on the ultimate ideas to maximize the potential of your home. Awnings are an external product that is available in Aluminium and Fabric designs. Fabric Awnings are manufactured from a range of materials such as PVC, Acrylic or Shade-cloth. PVC Awnings (also known as Cafe Awnings) are a clear awning for full visibility, but blocking winds and the elements. These PVC blinds can also be tinted to block the glare of the sun. Zippers can be added to create an extra room enclosure. Acrylic Awnings (modern style canvas) are predominantly rolled down to protect window openings from the sun, rain and wind. Awnings made from acrylic can also be manufactured onto aluminium-hooded frames, known as Dutch hoods and eyelid awnings. Shade-cloth Awnings use a roll down function that protects the window opening from the sun whilst letting the cool breezes through. Great for protecting verandas from the Western sun. Common styles are automatic awnings over windows, rope & pulley style awnings and side track awnings. 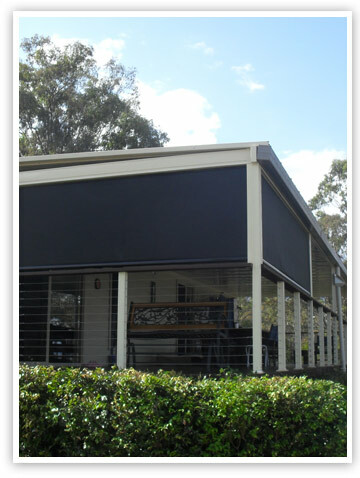 Aluminium Awnings offer a variety of solutions for your home. Louvre Awnings, in a fixed or adjustable style, offer protection from the sun, wind and rain. Louvre Awnings are vertical in structure with horizontal panels. Kingston Awnings offer a hooded protection that can be used as a window cover or as a patio roof.